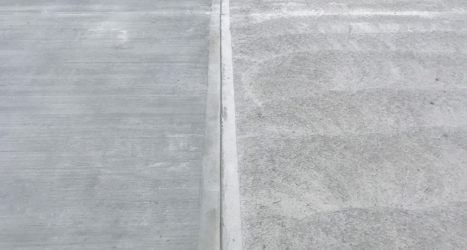 At Level Best Concrete Flooring we offer various different types of anti slip systems to suit the condition of your existing concrete floor slab and provide you with a safe working environment. For external concrete floors we can install small grooves at close centres to create a rough texture to the concrete surface. For internal concrete floors we offer a number of different solutions. One of these solutions is to treat the powerfloated concrete floor with a chemically etched method, which alters the surface matrix of the concrete and provides traction, especially important if the floor becomes wet. We can also apply epoxy paint strips to the surface of the concrete floor, which is particularly beneficial if the powerfloated finish is not of good quality. 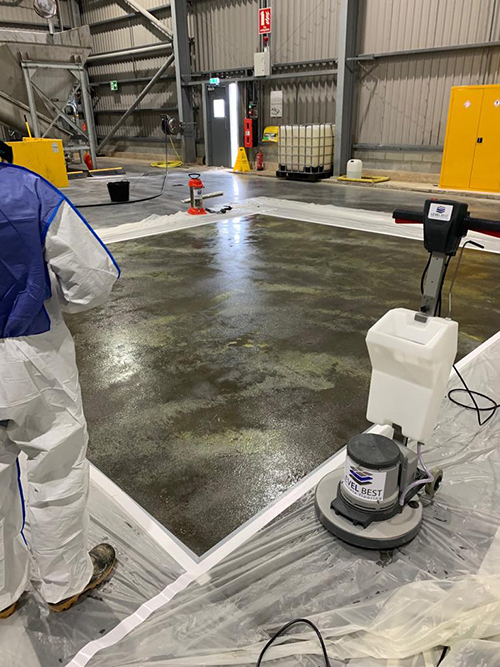 For large areas of concrete floor requiring an anti slip solution, we also use our Becosan system, which alters the surface texture by use of densifiers and molecular distribution. Concrete slab with anti slip finish. 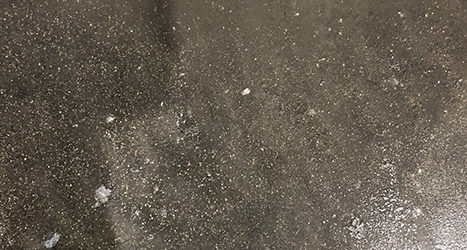 If your concrete floor slab is too slippery when wet and is failing the skid resistance tests required for a safe working environment, Level Best are probably able to offer you an anti slip flooring solution. 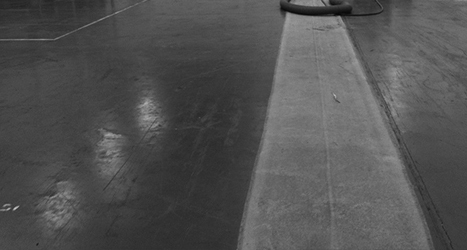 The photograph above shows a floor which has been chemically etched by the concrete flooring specialists. Grease extract from food waste was causing the polished concrete floor to be dangerous when trafficked by foot and so Level Best worked the surface matrix of the concrete to provide traction under foot.